The report explains that “vitamin D promotes calcium and phosphorus absorption, which is necessary to build and maintain bones and teeth.” The ideal levels of vitamin D are not known, but it is known that lower levels have been associated with a higher risk of certain conditions and diseases, such as rickets in children (or osteoporosis in adults) and some cancers. Many of us know that vitamin D helps the body absorb calcium and phosphorus from foods to help develop and maintain strong bones and teeth. However, some studies have found that the vitamin could also play a role in helping to prevent and treat a number of medical conditions, such as hypertension, multiple sclerosis and type 1 and type 2 diabetes, and even lower the risk of cancer. It’s estimated that up to 15 minutes of daily sun exposure on the hands, arms and face around 12 p.m. during the spring, summer and early fall can provide light-skinned Canadians with 1,000 IU of vitamin D. However, people with dark-coloured skin and older adults make considerably less vitamin D from the sun’s ultraviolet B rays, the portion of sunlight that stimulates our skin to produce the vitamin. And even in the summer, you may be making less vitamin D than you think: Correctly applied sunscreen reduces your ability to produce vitamin D by more than 90 per cent. 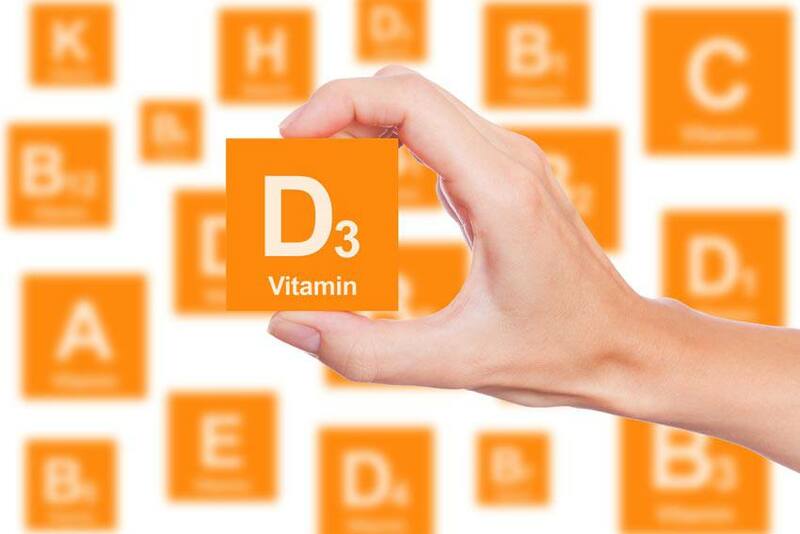 The symptoms of vitamin D deficiency or inadequacy include bone pain and muscle weakness, though these symptoms can be subtle and go unnoticed. One tricky thing about vitamin D is that you can have too much. Adults should not exceed 4,000 IU/day, children 4 to 8 years old should not exceed 3,000 UI/day and children 1 to 3 years old should not exceed 2,500 IU/day. Infants up to six months old should have no more than 1,000 IU/day. “While it’s tempting to take extra vitamin D in the hopes that it may reduce cancer risk or ward off a heart attack, you can get too much of a good thing. Because vitamin D is stored in fat cells, excess doses can build up to harmful levels, causing high blood calcium and damage to the heart, blood vessels and kidneys,” says Beck. If you think you may have a vitamin D deficiency or want to find out whether you could benefit from a supplement, make an appointment to see your doctor.